using the pi3 beta3 image for testing there is no way to make use of the wlan device in console-conf, network setup always times out, one has to use a wired network to do the first setup. This did work at some point, didn't it? Once you've configured with wired, does the wlan interface actually work? It is also happening that with the current candidate image. I also saw that when I go through the networking screen without any configuration and then press cancel, the networking screen is not showing the wlan anymore, it just shows the ethernet connection. Attached is the image that I see with the timeout error. After I "Press enter to configure" and after I set up my Wi-Fi access point and click "Done", it begins "Applying network config", stops at 66%, apparently loses wlan0 (it disappears from the screen), and reports "brcmf_cfg80211_reg_notifier: not a ISO3166 code". I re-ran "console-conf" via eth and set up the WiFi again. 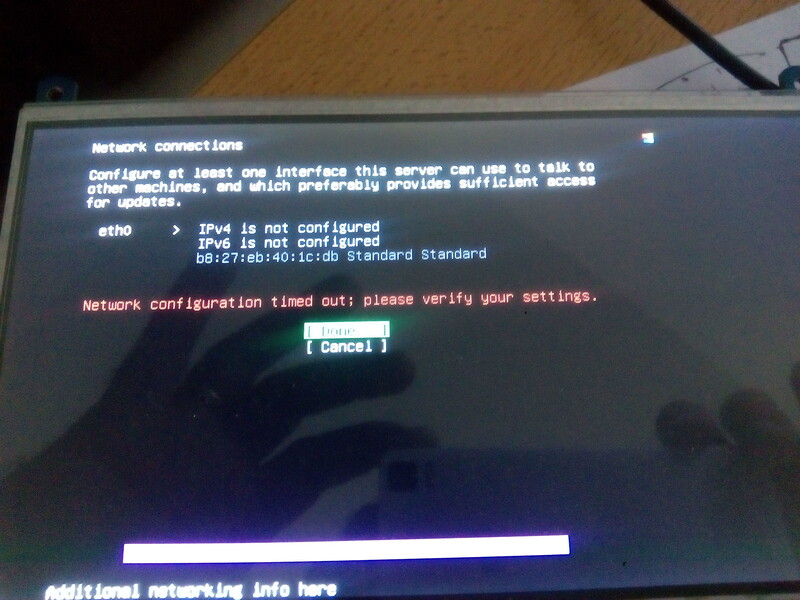 It again failed with the above UI issues and ifconfig showed no connection. However after restarting the device it was connected to the WiFi. 5) On the restart, the wlan will be configured with the wifi credentials. This time, continuing on with setup worked. This could have just been luck. I have not yet attempted to reproduce it.